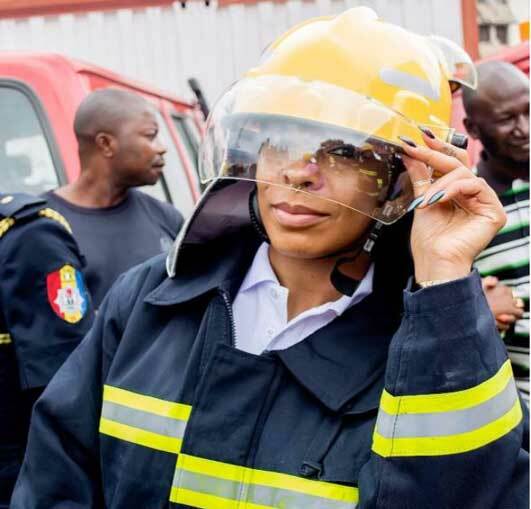 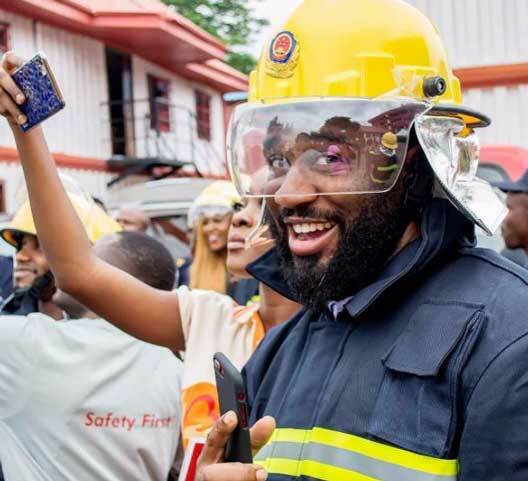 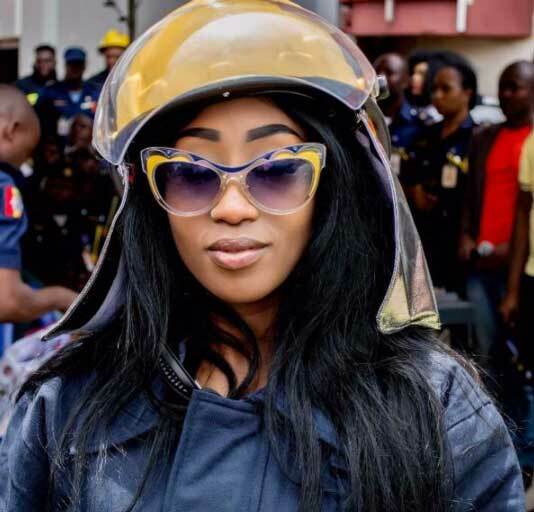 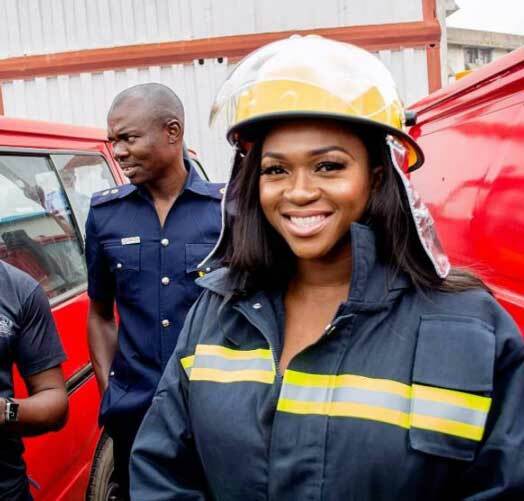 Estranged husband of Nollywood actress, Tonto Dikeh, Dr Olakunle Churchill, and his Big Church Foundation donated brand new Mercedes Benz Ambulances, 1,000 fire extinguishers and 1,000 fire blankets to the Federal Fire Service (FFS) in Abuja. 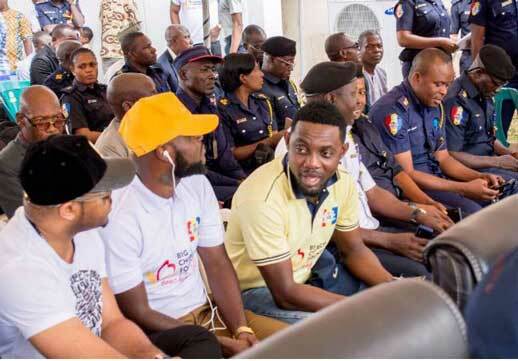 He was accompanied by top celebrities from Nollywood and the music industry including Ayo Makun (AY), Waje, Mike Ezuruonye, TBoss, Victoria Kimani, Emma Nyra, Mamuze Twins, Charles Awurum, Praiz, Dennis Dooshima and others. 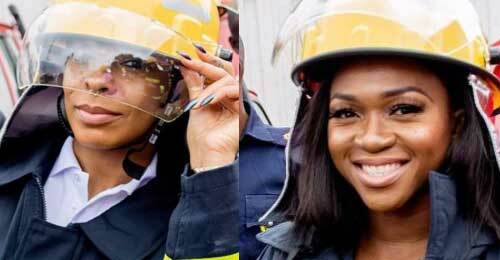 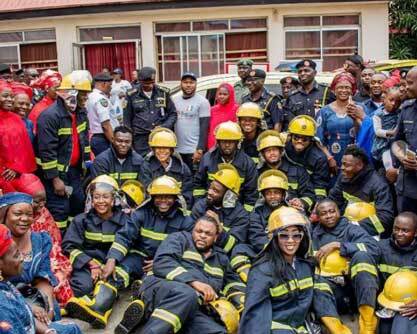 Today, we (Big Church Foundation) along with stars who came out to show love and support visited the burn victims at the National Hospital, Abuja and also presented The Federal Fire Service of Nigeria with an ambulance to support the amazing work being carried out and also to enhance speedy rescue of victims of fire accidents. 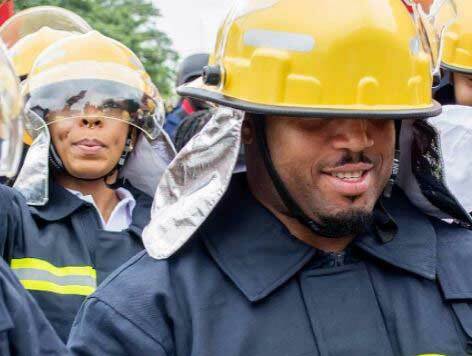 We must be the change we hope to see in the world! 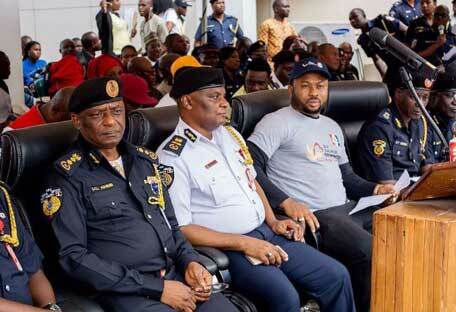 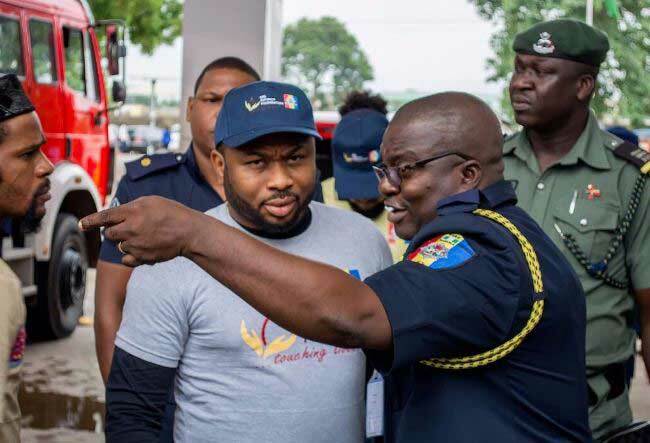 Swipe for photos of the ambulance and more highlights from the event, which took place today at Abuja.